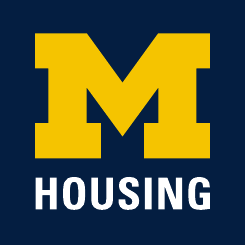 University Housing is an integral part of the University of Michigan academic community and, in many respects, the greater Ann Arbor community. We are committed to providing an environment conducive to the educational, psychological and social development of our residents. We nurture this environment by encouraging respect for the rights of the individual balanced by the rights and interests of the community as a whole. We expect that all members of the University Housing community—residents, staff and visitors—act in a manner that demonstrates respect and consideration for those around them. The Statement of Student Rights and Responsibilities and the Community Living Standards described in this electronic document have been developed to help promote such behavior and to ensure a safe and inclusive environment for everyone.